If you're planning a vacation, it's good to have your priorities straight and know how to pick the right hotel for your family. Comfort Inn offers a wide array of services and amenities to make your time with us as smooth as possible. You can dream better and sleep better at our Huntsville hotel. Our comforting hotel is accomodating for both business and leisure travelers. From the moment you step through our doors, you will experience ozy accommodations, friendly service and a delicious breakfast, which includes our famous waffles. Other essential amenities include WiFi, free meeting space, fitness center and an indoor heated pool. When you book a stay at our Huntsville, AL hotel, you're on your way to a great getaway. Providing overnight guests with a clean, bright, welcoming place to stay is our number one priority. In-room amenities feature a microwave and refrigerator, premium bedding, separate work area, flat-screen TV and a coffee maker. Enjoy a stress-free vacation on our watch. It's time to book your reservation at one of Huntsville most talked about restaurants. There is a dining experience in Huntsville, Alabama, that will fit the bill. You are sure to find something that fits your tastes with the list we have created. Ol' Heidelberg, Grille 29, Rosie's Mexican Cantina, Cotton Row, Pane E Vino Pizzeria, The Po Boy Factory, 1892 East Restaurant and Tavern, Clementine's at the Garden, Connors Steak & Seafood, and Vet Cuisine will fit any appetite. Calling all shoppers! Downtown Huntsville is known for its eclectic boutiques, and filled with innovative shopping options. Clinton Row, Domaine South, Elitaire Boutique, Goin' To The Dogs Pet Supply and Dog Wash, Greene Street Market Store, Harrison Brothers Hardware, Huntsville Museum of Art Store,Lewter's Hardware, Inspired Gifts and Kennedy & Rowe Clothing Company are some of the stores you can get lost in. The shops are waiting for you. Whether you are searching for a quick outing or a multi-day adventure, Huntsville has all the activities for you. You can choose to spend your day at the Huntsville Visitor Information Center or the U.S. Veterans Memorial Museum. Madison County Nature Trail-Green Mountain, Huntsville Botanical Garden, . U.S. Space and Rocket Center, Monte Sano State Park, Big Spring Park and Harmony Park Safari are other activities fun for the whole family. Explore Huntsville's vibrant nightlife scene which includes everything from high-energy dance clubs to low-key wine bars. With over 40 different event venues throughout Downtown, there are several signature options to experience. AM Booth Lumberyard, Campus 805, Escape Rooms, Flying Monkey Arts, Humphreys-Rodgers House, Rockaxe City Throwing Club, Side Tracks, Tangled String Studios, The Bar at 805, Voodoo Lounge, and Von Braun Center will keep you entertained until the sun comes up. 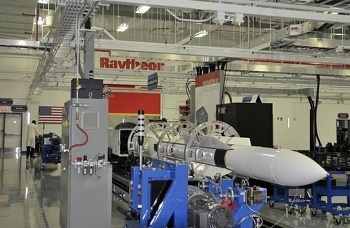 You won't experience a dull moment in Huntsville, Alabama. 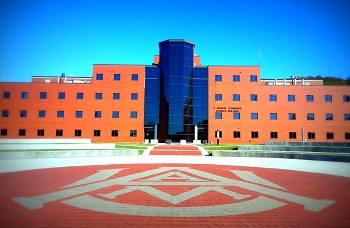 Alabama A&M University is a public, historically black, land-grant university located in Normal, Alabama, United States. AAMU is a member-school of the Thurgood Marshall College Fund and has been accredited by the Southern Association of Colleges and Schools. Founded in the 1870s as a normal school, it took its present name in 1969. Redstone Arsenal (RSA) is a United States Army post and a census-designated place (CDP) adjacent to Huntsville in Madison County, Alabama, United States and is part of the Huntsville-Decatur Combined Statistical Area.The Arsenal is a garrison for a number of tenants including the United States Army Materiel Command, Army's Aviation and Missile Command, the Missile Defense Agency of the Department of Defense, and NASA's Marshall Space Flight Center. 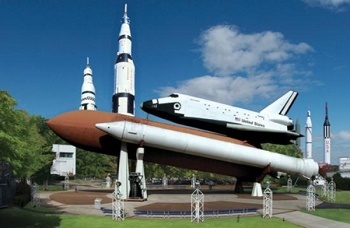 The U.S. Space & Rocket Center in Huntsville, Alabama is a museum operated by the government of Alabama, showcasing rockets, achievements, and artifacts of the U.S. space program. Sometimes billed as "Earth's largest space museum", astronaut Owen Garriott described the place as, "a great way to learn about space in a town that has embraced the space program from the very beginning. 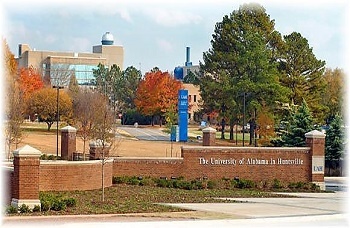 The University of Alabama in Huntsville (also known as UAHuntsville or UAH) is a state-supported, public, coeducational research university, located in Huntsville, Alabama, United States, is accredited by the Southern Association of Colleges and Schools to award baccalaureate, master's and doctoral degrees, and is organized in eight colleges: business administration, education, engineering, honors college, liberal arts, nursing, science and graduate studies. Children are welcome. Kids stay free! Children under 18 years old stay free when using existing bedding. Wow! Big Rooms, Great Breakfast! This is probably the best Comfort Inn I have ever stayed at. The rooms were spacious. The beds very comfortable. The hallways had plenty of space. Wifi worked well and the breakfast was great. Staff was very friendly and accommodating. I would definitely stay here again! This was our fourth stay at Comfort Inn over the past two years due to family illness in Huntsville which required our visit . The staff has always been more than friendly and accommodating to our needs. On two visited we wanted to change room locations and the on duty desk associate happily did so. Kala the manager is super nice and really cares about her patrons and goes beyond what you would expect to make sure your stay is a pleasant one. I booked this room for one night and had no great expectations other than a clean bed for the evening. I got in late and was greeted by name when I walked in. The receptionist was well groomed, friendly and helpful. The area around the hotel was neatly landscaped and tidy as was the lobby area. The room was wonderful. Room was $100 for the night, complete with nice, comfy mattress and big shower. Clean room and clean commons areas. Breakfast was great. Items were replenished immediately when needed and staff was very nice. My son in law, grandson, and myself had overnight trip to Huntsville. We found the hotel very clean. We used the indoor pool and enjoyed it very much. The breakfast was good and had plenty of food. Plan to stay there again next trip. I've stayed in many hotels, including several Comfort Inns, and the Huntsville Comfort Inn is always an exceptional experience. The hotel is clean and I've never encountered such friendly and welcoming staff. We stayed here overnight for our road trip excursion. It was very clean and looked as if the rooms were re-done recently. The location was excellent. Easy to get downtown and to the Space Center. The people were very friendly and aimed to make our stay as "unworking" as possible. I would go back. From check in to check out this hotel was amazing. The staff were so friendly, cheerful, and helpful. The rooms were the cleanest I have ever stayed in. Breakfast was great. The pool was perfect. I wish my stay was longer!! I have never been so impressed by a hotel in all of my travels! We recently stayed here on a team trip. despite the fact that the hotel was fully booked the staff made our girls feel as if they were the only ones there!!! As well the rooms were very nice and beds comfortable. we would recommend this location to anyone.